Back in July 2010, the Harvard Business Review (HBR) told businesses to Stop Trying to Delight Your Customers. HBR challenged conventional marketing wisdom and declared that satisfied customers are NOT loyal customers. Delighting customers does not build loyalty. However, reducing the amount of effort required to get things done – does. From a survey of more than 75,000 service-based personnel, HBR found that to really win customer loyalty forget the bells and whistles and just solve their problems. The copywriter who struggles to edit an article. The compliance officer who cannot preview content before it goes live. The system administrator who cannot police the infrastructure. The product manager who cannot change prices in real-time. 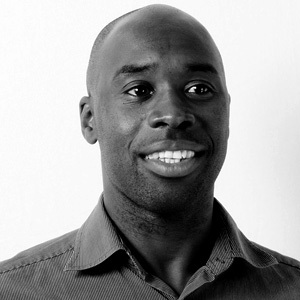 The brand manager who needs tighter control over digital assets. The optimisation specialist trying to figure out cart abandonment issues. 94% of customers would repurchase from the same company. 88% of customers would increase spend with that company. 81% reported an intention to spread negative word of mouth. That’s a really clear customer message. Keep things simple and we’ll reward you. Don’t and we’ll punish you. Reflecting back on a few of my earlier car crash web projects (I had a few), it was all about the bells and whistles. Don’t get me wrong. I love bells and whistles. But they are a great distractor. Typically, the solution morphed into something unrecognisable to find problems for these new features to solve. These solutions did have satisfied customer, for a while, but they never made it to loyal customers. Pie A containing things that drive loyalty. 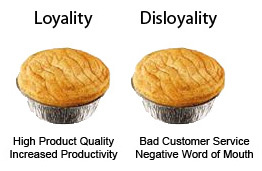 Pie B containing things that drive disloyalty. Pie A is everything you need to do to improve product quality, increase productivity, andreduce effort. This is the long-term loyalty play that both internal customers and solution providers must work hard together to figure out and pursue at all costs. It‘s about sticking to your guns, making balanced decisions when choosing time-to-market over product quality and delivering the best you can with the right/available tools that meets your internal customer objectives. Pie A is jammed packed with delicious trade-offs. Pie B is pretty much all about customer service but more specifically damage limitation. Customer service is a word of mouth (WOM) multiplier. Great customer service is a small multiplier in comparison with poor customer service. If you don’t support your internal customers disloyalty spreads like wildfire. Great customer service does not bring (back) loyal customers. The only way to win back long-term loyalty is through solving customer problems. In short, your solution needs make things low effort your customers. Technology is a necessary disruptor. For example, introducing and/or changing a content management system is a big deal. It affects people. However, when engaging with solution providers bearing tools to solve people problems, the typical starting point is the dreaded set of corporate requirements. Just thinking out loud here, but wouldn’t it be great to start and finish with the real problems and be judged squarely on whether they’ve actually been solved them? Instead of what we have to do today, which is dig deep, guess, assume and tease out the people problems from a confusing, impenetrable set of requirements? For customers in need of a solution, show your dirty laundry and offer up the people problems early. For solution providers, find those people problems first and then check back with the supplied requirements to see if they still make sense. Because if loyalty is about all about solving customer problems, isn’t everything else is just noise.